Our Organic Nutritional Yeast Flakes are produced with a specially selected strain of Saccharomyces cerevisiae. It is grown on an organic cane molasses substrate. 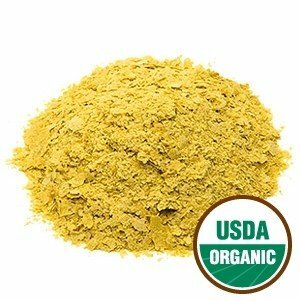 It is an inactive food grade nutritional yeast that is high in B vitamins and dietary fiber, and made up of over 1/3 protein.